Spin Master 2 for the DJs!! Hail all DJs! The Astro Hitz Spin Master is back for the second year, to be bigger and better than ever! The time where you DJ get to compete to be the best, and showcase your skills to the world! The press conference for launching the Spin Master 2 competition at Zouk Club Kuala Lumpur, where interviews were held for the judges DJ Goldfish, DJ Blink and DJ Gabriel and Astro Hitz Manager Cheng-Vei! Spin Master 1 champion, who taken out the other 50 plus contestant in 2010! Spotting here at the conference, our Malaysia's model/actress/emcee/tv host Jojo Struys! 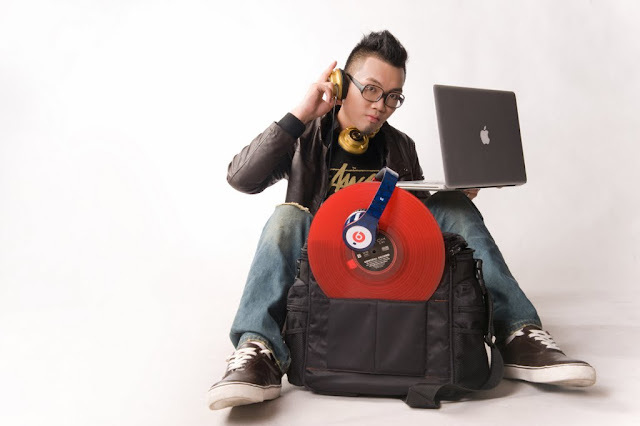 Host for the Astro Hitz Spin Master 2, Joey G! DJ Blink! One of KL's top DJs, well known for his LapSap nights and solo sets at Zouk! What's she expecting from this year's competition? MORE GIRL DJs!! DJ Gabriel, a very experience and professional DJ with more than 15 years! Join forces with DJ Blink and DJ Goldfish in the Astro Hitz Spin Master 2 as a guest judge! The first Spin Master champion, DJ Reeve! Watch his performance last year, he even uses an electric guitar to perform his DJ skills! Camera of the judges and sponsors. Say cheese! DJs out there, will you take the challenge to be one of the best DJ of the year and playing at Ministry of Sound London? Take part in the audition on 15th and 16th May! The judges are looking forward on talents to outbeat the reigning champion, DJ Reeve! For more information on the competition, check out www.facebook.com.my/astrohitz, or a direct link Astro Hitz Spin Master 2 . Check out www.astro.com.my for updated screening times. We hope to see more of you talented DJs in this competition! you sell dj stuff now dead eye? kelvin, I got a dj friend, how can he join? ?